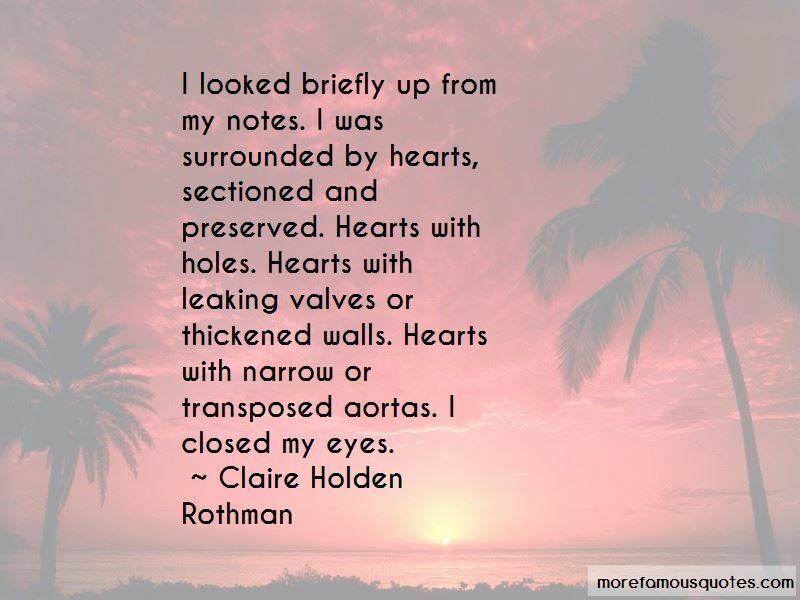 Enjoy the top 4 famous quotes, sayings and quotations by Claire Holden Rothman. 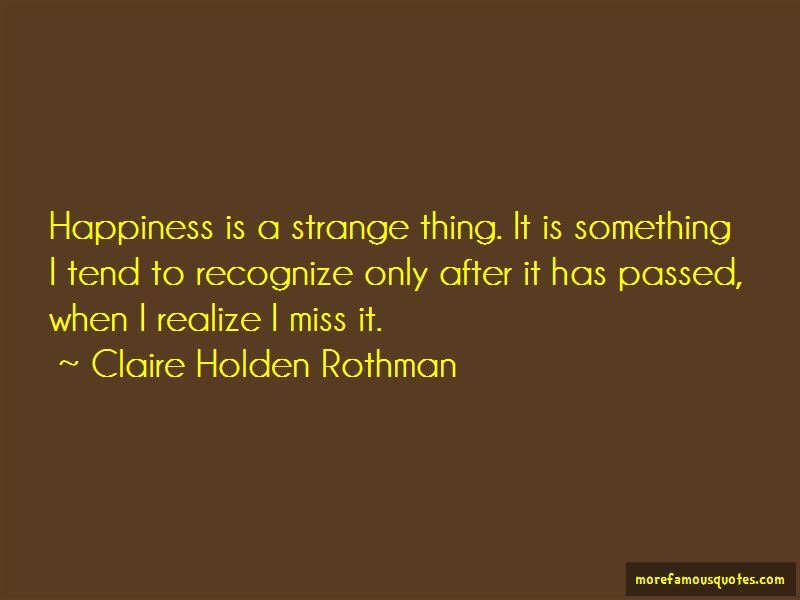 Happiness is a strange thing. It is something I tend to recognize only after it has passed, when I realize I miss it. 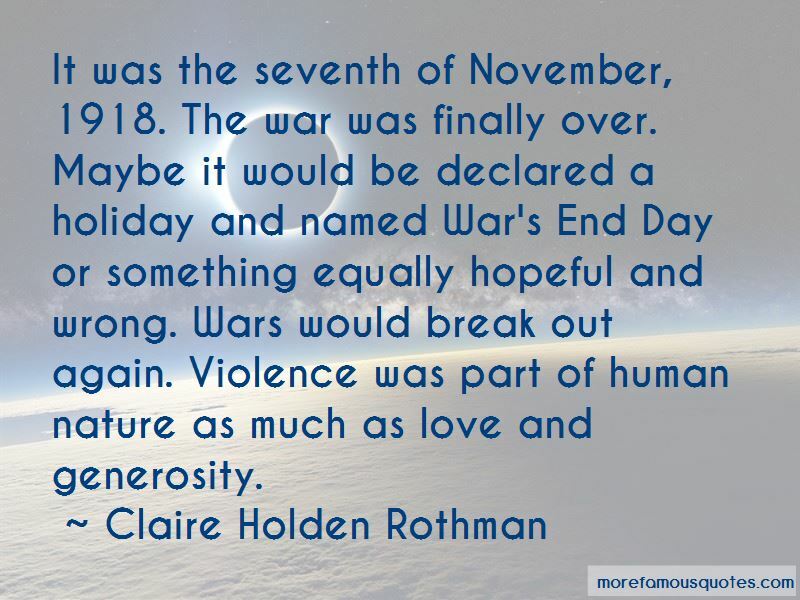 Want to see more pictures of Claire Holden Rothman quotes? 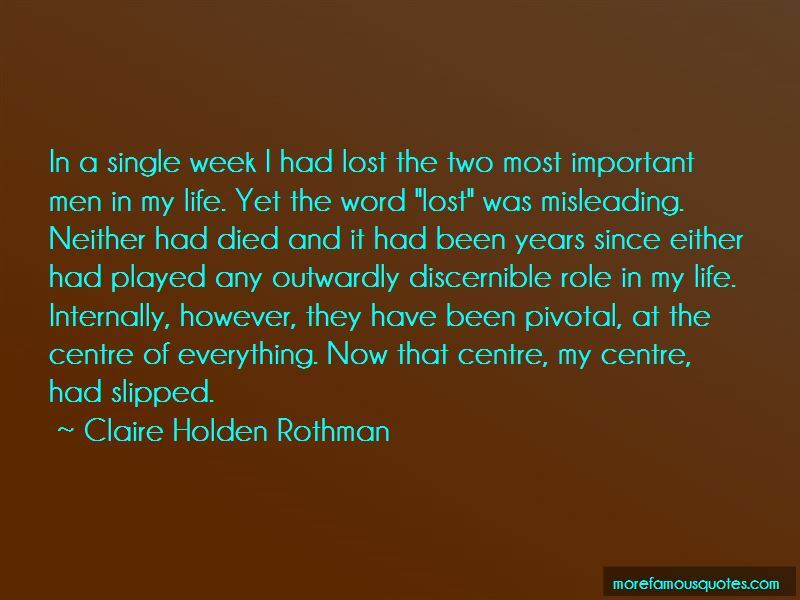 Click on image of Claire Holden Rothman quotes to view full size.